As the New York City’s food truck scene has become increasingly enormous, trying to find the best food can sometimes feel impossible. Our NYFTA team has done all of the heavy-lifting for you and has taste tested almost every food truck in NYC. After our sampling, we have come to a conclusion that’s worth sharing. Next time you’re trying to decide, which food truck to pick to get the best food, service, and value, we have you covered! Tip: Abeetz makes an Avocado Toast personal style pizza. Need we say more? 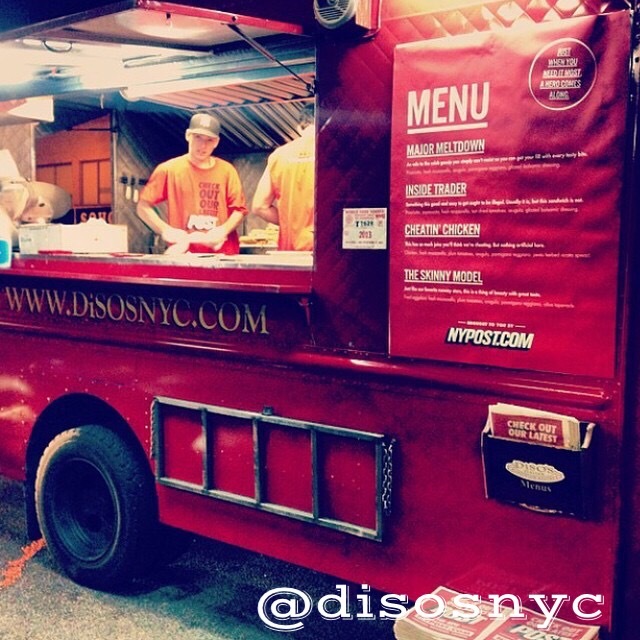 It’s very likely that you’ve spotted one of Big D’s trucks in action serving the hungry crowds of New Yorkers. The Chef and Owner of Big D’s, Dennis Kum, converts his passion for food into amazingly tasty, flavorful food creations that are an absolute must try! Tip: No need to wait till next Tuesday to get Big D’s Spicy Chicken Tacos! Also, their Bulgogi Rice Platter is just FLAVORSOME!! If you are an Italian sandwich lover, then Diso’s is the food truck for you. Adam DiSilvestro, a.k.a. Diso, grew up with Italian parents and there is no doubt he exactly knows what a classic Italian sandwich is about. Diso makes his sandwiches using imported Italian meats and cheeses sourced from famous DiPalos in Little Italy, NYC. Diso’s truck was also featured on Food Network's TV show Great Food Truck Race. Tip: Vinny Chins, Joey Shakes, or Eddie Mush are among the top picks that we love! In Mexico, street food is a part of their culture, and since Gabriel Apreza and his children opened their truck, it has become a part of our culture, too. El Toro Rojo brings homemade Oaxacan Cuisine to the streets of NYC. They believe in simple, locally sourced dishes, with quick service and consistent quality. Their menu consists of Tacos, Burritos, Quesadillas and Fajita bowls, all which are just to die for. Tip: You can pick from six protein options - Chicken, Steak, Al Pastor, Chorizo, Shrimp or Carnitas. You can also go meatless, just veggies. You’re going to go nuts for these donuts - guaranteed! In a case like this, size doesn’t matter as much as the quality and experience. Lifelong friends Dan and Larry founded Glazed & Confused in 2015 with a simple goal: Bring their delicious & made-to-order mini donuts to the streets of NYC! Served by the tray, their signature donut combos are always a huge hit. 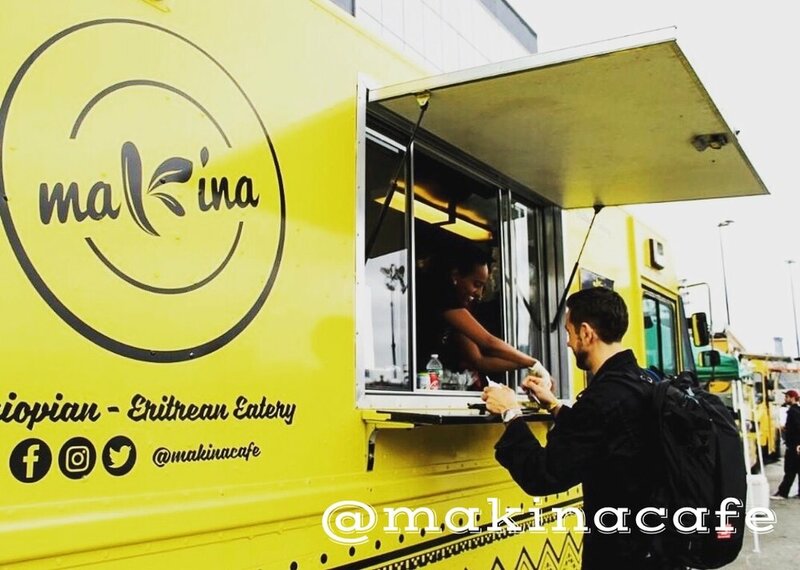 Tip: Makina truck gives you an option to choose and create your own plate. P.S. Their Beef Sambusa is fantastic. Tip: Team Nuchas recommend to get about 3-4 empanadas per person to get one full meal. What a great opportunity to try a whole bunch of flavors. Phil’s Steaks is NYC’s 1st Authentic Philly Cheesesteak Food Truck and quickly amassed one of the largest followings around. With a combination of high-quality beef ribeye and freshly baked rolls shipped directly from Philly, this truly is the most authentic cheesesteak you can get without actually going there. American Steak, Pepper Steak, Shroom Steak... you can never go wrong with this classic Philly sandwich. Tip: You will probably hear Phil using the word “Jawn”. That’s how they like to call their truck. For those that don’t know, the word “Jawn,” is Philly slang – a noun that can replace just about anything and everything. 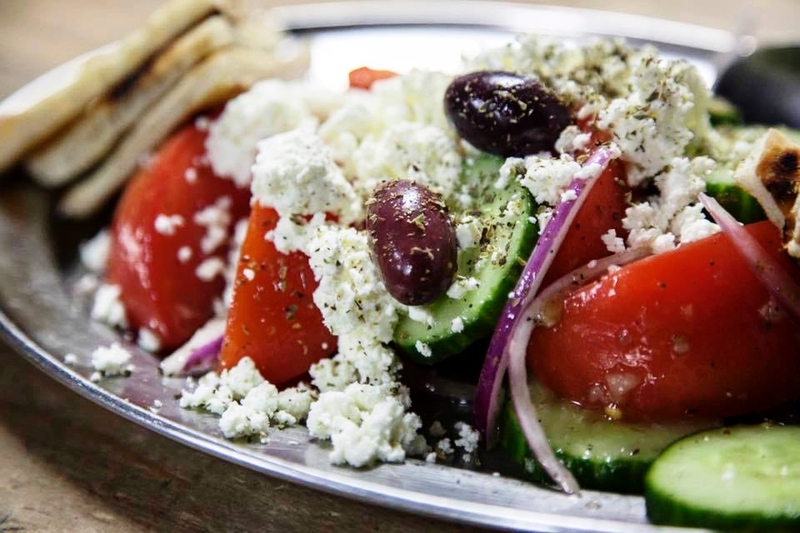 One of the only true classic Greek trucks in New York City, Souvlaki GR has been serving their delicious kabobs and gyros to the hungry people of Manhattan since 2010 when they won the Vendy award for Rookie of the Year. The following year they won the Vendy Peoples Choice Award as well as The NYC Food and Wine Festival People’s Choice award. Tip: Charcoal-grilled meat inside a warm pita, with a slice of tomato, red onion, tzatziki sauce, and french fries INSIDE - Chicken Souvlaki Pita is out hot pick. So the story goes... In 2007, King Albert II of Belgium mandated the Belgian Ministry of Culinary Affairs to bring his authentic (and very scrumptious) Liege & Brussels waffles to the NYC streets. And so, the first Wafels & Dinges yellow food truck was born! The goal: Give America's "Belgian Waffles" a serious upgrade. 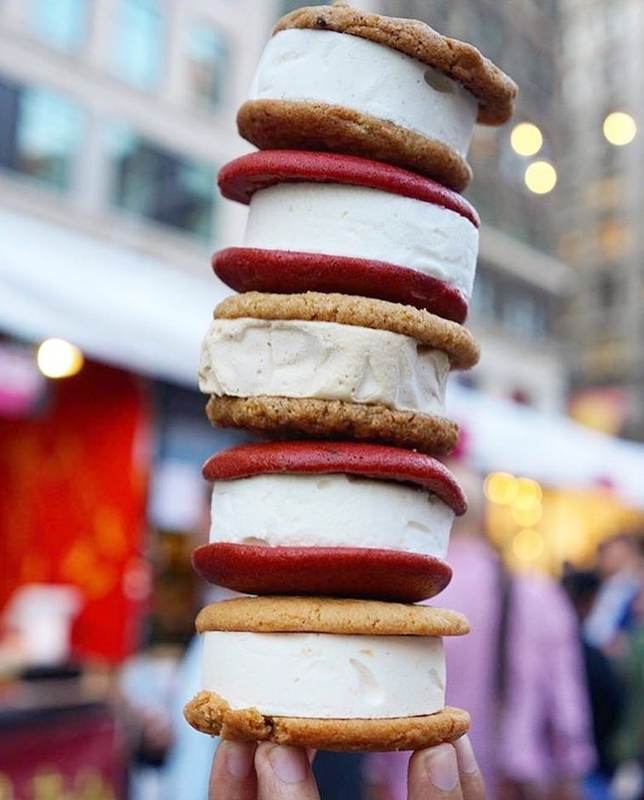 Wafels & Dinges is arguably the most award-winning truck in New York City, including the following prestigious titles: Best Dessert, 2009 Vendy Awards + Winner, 2010 Throwdown with Bobby Flay + Best Dessert Truck in America, 2013 The Daily Meal. Tip: WAFELS & DINGES truck is so good, people like to rent it for weddings, bar/bat mitzvahs, office parties, and all sorts of events. Everyone ♥s the Wafels & Dinges! And we aren’t just talking about ice cream for once! With summer winding down (also, when did that happen?) we are all looking forward to fall (that’s right, we said it). Until then, we can rely on some of our favorites to lower our core temp while out and about. You may not realize it, but a lot of our food truck members serve certain menu items that don’t need to be heated and are best served cold. You can still get your food truck fix and cool down at the same time! Take a look at some examples that are refreshingly satisfying. Starting off with something traditional, Rita’s Italian Ices and Andy’s Italian Ices are both a given for summer. We love both of these food truck members for their versatility and that nostalgic, fun feeling you get when you get a giant scoop of frozen sweetness on a hot day. Toum Lebanese is the expert when it comes to garlic and with that comes their incredibly authentic (and award winning) garlic hummus. Best served and eaten cold with a side of warm pita (or a spoon, it’s up to you). We’ve talked about El Toro Rojo’s guac before but one can never get enough! It is the perfect refreshing snack with it’s cool blend of avocados, cilantro and a little added heat from the spices. Souvlaki GR is the mediterranean hostess with the mostest and when it comes to their salads, you can have whatever you like. Combining their fresh ingredients like cucumber, kalamata olives and feta with a warm chicken skewer makes it a dish you could eat year round. The way lobster rolls are prepared comes down to personal preference and everyone on the East Coast has their own strong opinion on the subject: warm vs. cold lobstah. We prefer to be able to have this seafood all the time so it makes the perfect summer AND winter meal! Luke’s Lobster and Red Hook Lobster are perfect options with multiple locations around the city if you are craving a cold one. And last but not least, a NYFTA team favorite and the coolest of treats: Melt Bakery. This one might be obvious but they are so good we do not care. With inventive flavors and new concepts coming out every month, Melt has found its way into the hearts (and hands) of its most loyal customers. You know that feeling when hunger strikes and you must find a snack in order to survive the rest of your workday? Or when you're out and about being tour guide for your extended family who are in town for the weekend and Dad is getting hangry but your dinner reservation is in just a few hours? The solution: food truck snacks! Snacks = bite sized, ideally handheld and unquestionably delicious morsels of goodness. Check out some of our favorite grab and go finger foods and ditch the fork! Big D's Grub Truck is known for just that, the grub. 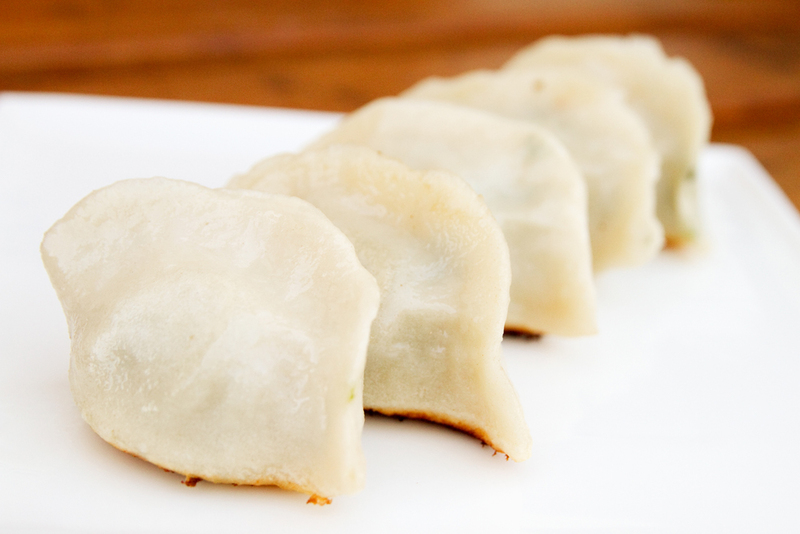 If you like your snacks to have dipabilty, the pork & chive dumplings are perfect for dunking in soy garlic, sriracha or ginger dipping sauces while trying to avoid that afternoon meeting. So sorry I'm late, there was a dumpling emergency! Sometimes, you just want literally 2 bites of something to satisfy your savory baked good craving. 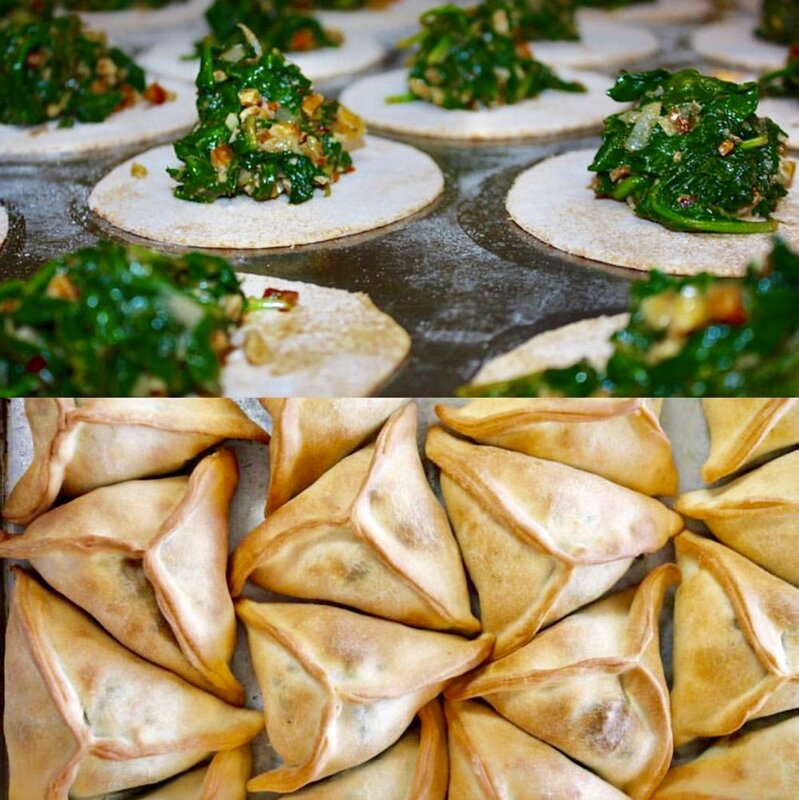 Served in two's, Toum's authentic Lebanese spinach pies are stuffed with spinach, onions and a special blend of lemony spices. How many bites does it take to get to the center of a spinach pie? Just one if you try real hard. 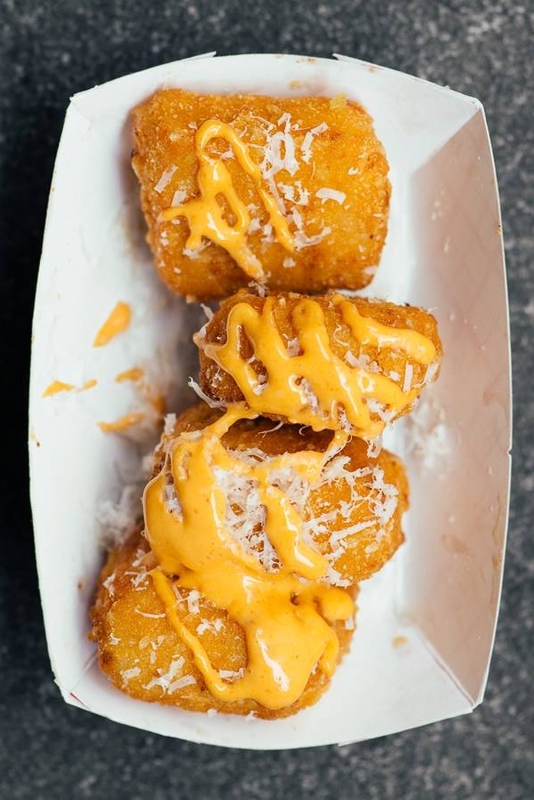 Speaking of bite sized, another notable snack comes from a local food truck celeb. Mac Truck's mac bites prove beauty comes in all shapes and sizes. Wash down the cheesy bites with a giant lemonade for the ultimate summer combo. Are you the type of person who eats their popcorn kernel by kernel or handful by handful? Either way, Brooklyn Popcorn has you covered no matter your eating style. The smell of freshly popped popcorn will lead you directly to this staple in the streets of the five boroughs. Or a circus, which isn't a bad option either. And finally, the snack of all snacks. One snack to rule them all! 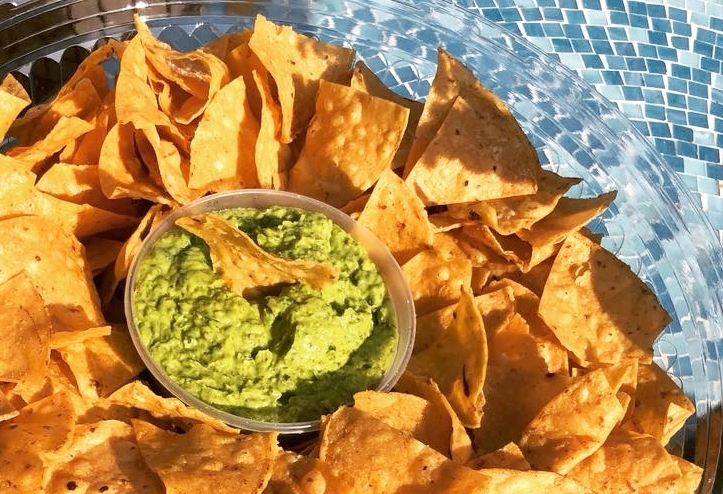 The classic chips and guac. El Toro Rojo is a recent Vendy Award winner and for good reason! Their main menu includes authentic corn tortilla tacos with locally sourced ingredients but if you are in the mood for those crispy triangles, they come hot off the truck with a generous scoop of the green stuff. Guac is extra and so are we.